Nintendo has rolled out a new system update and for once it's not just stability improvements to enhance the overall user experience. There's also an update for the Joy-Con controllers. To manually perform a system update, open the system settings menu, select system and then select update. To update the controllers, open the controllers and sensors menu and then select the option to update controllers. I just really want themes. Folders would be cool but if I had to pick one of them to come first it’d be themes. some small improvements. i think i like the zoom in/out and where it's sorts on what games you play last, in alphabet, etc. The zooms kinda cool and makes playing breath of the wild a whole lot harder! I'm sorry, but I'm not seeing anything great about this update. Folders, no. No folders yet? My Switch is updating as I speak (err... type). Sorting your software sounds nifty! Still waiting for themes and folders, though. Let me know, Nintendo! Love that we can finally sort games at all, though I miss folders from 3DS. Also, what do they mean zoom mode? Every time there's a Switch system update, I'm reminded of one quote from Malcolm in the Middle: "I expect nothing and I'm still let down." I am glad we have more sorting options to be sure, but this is still really quite bare bones... No folders? Really? No option to change icon sizes to fit more or less on the screen? No themes? Why do they even have the theme option in the setting with only dark grey and white? They couldn't at least add other basic colors??? And I got kinda excited when I saw "15 new icons" but only for Yoshi and Splatoon 2? Really? No Xenoblade, no Final Fantasy, no Pokemon? No Dark Souls? No Civilization? No Fire Emblem? Etc etc? I mean, I don't like complaining about updates when they actually do add new features... but we all know Nintendo could do more. And we know it because homebrew people have done it. 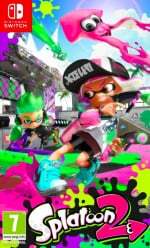 And if random hackers in their basements can do it, Nintendo can do it! I was needing that stability more than anything else tbh, there hasn’t been enough of it lately. I’m fine without folders and themes. Anything to keep the Switch’s super snappy and fast loading UI, getting me into the game quickly. This ZOOM feature, what a blessing!! 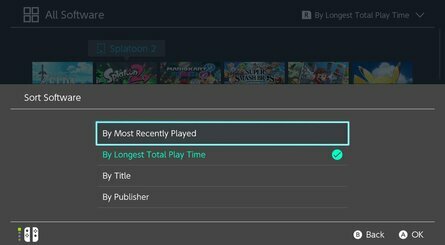 The sorting though.. "last played, total play time, software title, and software publisher"
Apart from Last Played (the one we already had) all others are honestly useless. Why the hell no custom sorting? Even without folders, by custom sorting we could kind of group the games by personal criteria. Sort by "time played" is the closest we'll get to the Activity Log. So the Zoom is basically just Windows Magnifier. I had hoped it meant zooming out on the home menu, like the DS. The sorting isn’t what I’d like. I’d like some akin to the sorting options in the NES app. @onlyonemello I really doubt folders would slow anything down, since All Games is itself a folder. Yes I just tried this. It is really really useful and snappy! Save Data Cloud Backup has been renamed to Save Data Cloud - FINALLY! @BoFiS You're literally zooming into the game screen by double-tapping the Home Button, even when you're at the Home Menu. You adjust the screen to where you want it, press the Home Button once, then you can control the game while it's zoomed in. That's the zoom feature in a nutshell, though I don't see myself using it that much. @Heavyarms55 I agree with you on the profile icons. I kinda understand if they're only doing Nintendo IPs for the profile icons on the Switch, and if they're waiting for Pokemon Sword and Shield and Fire Emblem: Three Houses for icons for their respective franchises, but I'm surprised they haven't done it for Xenoblade Chronicles, especially since XC2 came out at the end of 2017! Never thought I'd be so happy to see such a basic feature as 'sorting' get added to a system. @MarioLover92 I’d love some DK TF icons too. These updates are meh, as usual. 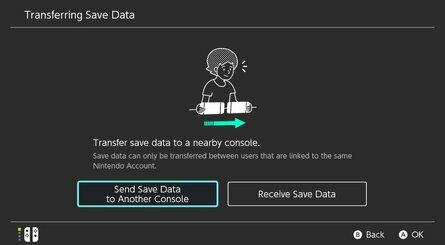 You can now transfer specific saves between systems? Hmm, odd. It's almost as if they have some new product coming that might encourage you to do that. Finally a Marina avatar, took awhile but that's fine. Themes guys, get on it. That I can only choose between black or white is lame. Let’s go. The 3DS has it. What’s the excuse? Controller update included as well... Not sure what that does. @Heavyarms55 I doubt they would ever include 3rd party characters icons. Seems they actually added some features this time and not just stability improvements. The zoom sounds interesting. It could make reading some interface elements a little easier. But still no themes? And no folders? Why the hell not! Okay, I might have to eat crow now about my initial beliefs no new models might be coming before at least 2020 because that option to transfer saves between systems sounds like it was tailored for it. 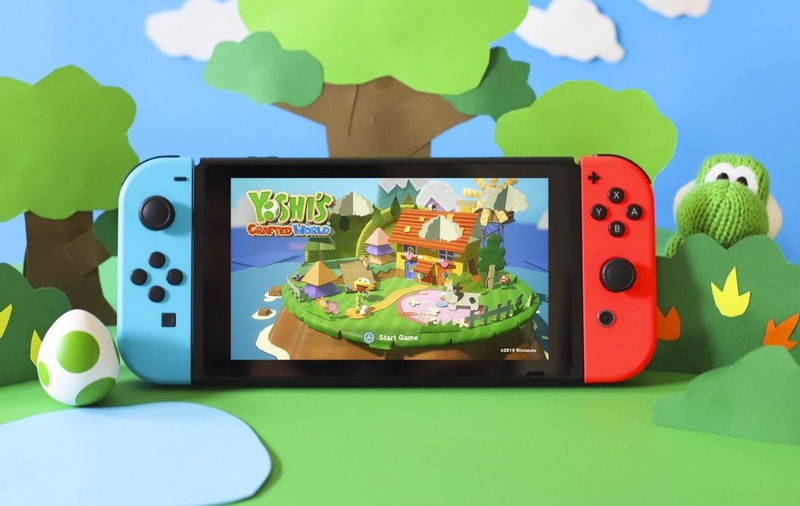 Otherwise the only reason I could think of was Nintendo's stated intent of wishing it becomes a "multiple consoles per household" deal like the 3DS and thus might be aimed at people getting their own personal Switch when they general household already owned one and thus importing their old personal saves so they can continue to progress independently of the Switch still being used by other members of the household. At the same time, depending on how Nintendo would handle thing, none of this would be mutually exclusive with new models if they still support a "Switch classic" model as the primary console. THEY FINALLY DID IT! They finally let me organize my games alphabetically! I am crying right now. I have been begging for this feature for the longest time, since I have owned it, and I finally got what I have been asking for! It's amazing, it is everything I ever dreamed of, no more chaos, everything is in order, I love it! Game sorting! That's something the Switch really, really needed. Good on Nintendo for making an update that actually adds something useful! Being able to sort my games alphabetically is exactly what I was after. I have almost 300 games now so sometimes it can take a while to find the one I'm looking for so that solves that problem. 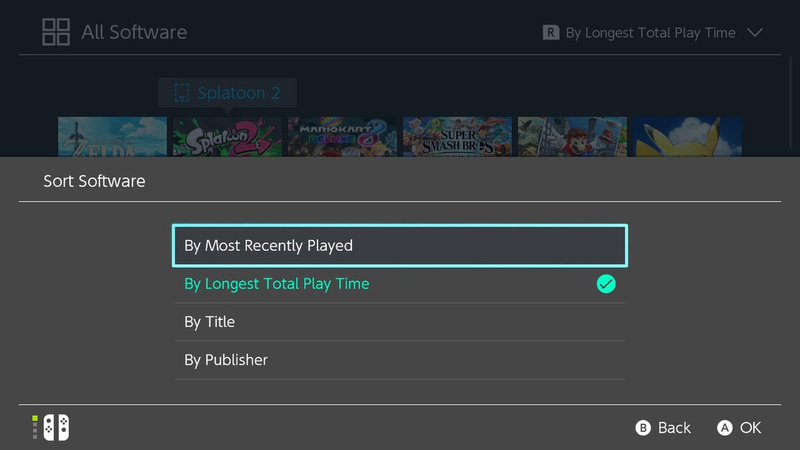 Sorting by total play time is inaccurate for me so that's kinda useless, think it might not be taking into account my play time from before my system transfer. @SARankDirector Okay? You obviously didn't understand my comment. 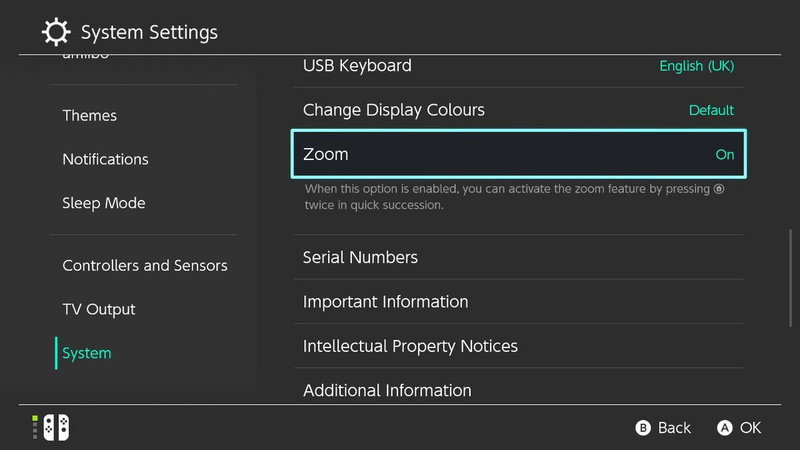 I wonder if the Zoom feature works with VR mode for BotW? Hmmm..
At least this added features, so I suppose I can’t complain. Though I too would like folders and a way to organize the games on my front menu. And themes would be nice for those who want them, if it slows anything down they could also have the simplified UI for players that prefer functionality over style. Where the hell are the folders? Already changed to the new Yoshi avatar! ..not the most substantial update, but it's got some nice quality of life stuff in there. @YessMasster It lights up and it's a nice neon blue colour. Use your Nintendo Pro Controller on Steam games. OK, love the zoom feature. the game sort options are nice too although a folder would have been better. Folders. That is all I require. @Zequio Both Fire Emblem and Xenoblade are entirely possible, they are exclusives to Nintendo and they have no real reason to refuse 3rd party titles either. Wow! Finally an update worthwhile. Now please oh pretty please bring Themes to Switch!!!! 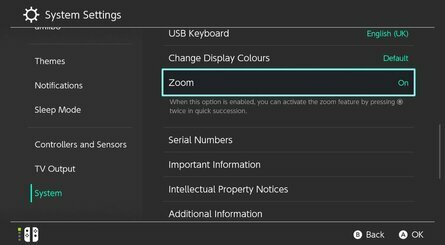 Nice new features (some kinda of late), the zoom is particularly pretty good for people with bad eyesight (not me but nice to see accessibility options being added). Now if they could include folders and themes it would be nice, it's pretty much all i want as far UI design is concerned. I hope we get new Pokemon icons when sword and shield come out. Wow. Wish you could sort as you want or use folders for it... The pre defined sorting systems seem like a waste of time. But hey... Its a start? @ChromaticDracula Nah, themes are just an aestetic luxury, while folders serve a practical purpose for game organization. We need folders before themes. Woohoo! 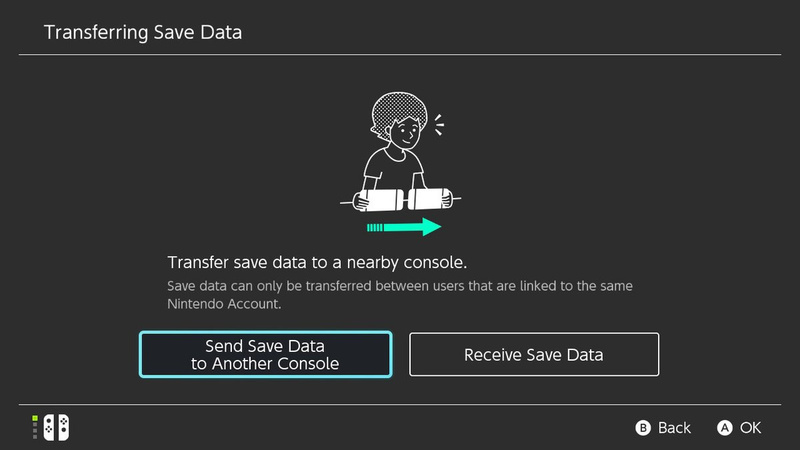 Now I can play on my brother's Switch and transfer my save data when I get my own. Just in time, too, since he's coming home from college for the summer in less than 2 weeks. Better, still needs folders. Zoom will be good for games with small text in handheld. And that “don’t wake up enless asked to” function is definitely going to get clicked on. 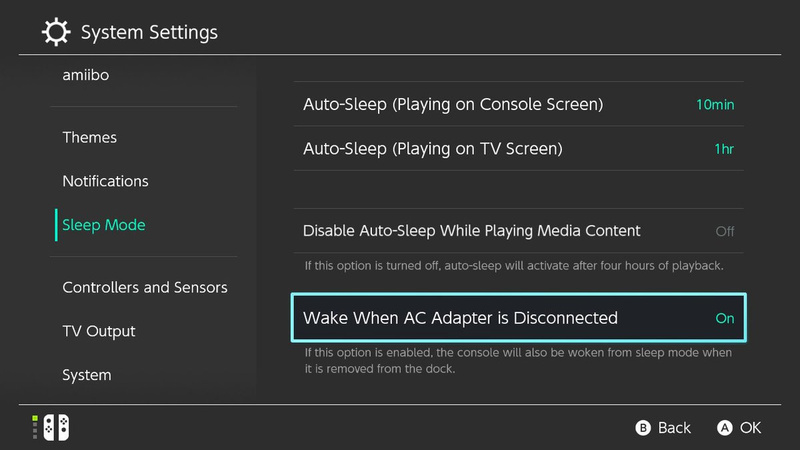 I am actually about the option to not have my Switch turn on when disconnecting it from power. That was dumb. There are also some other changes, for instance you can now redownload deleted software more easily by going to the all software page and scroll way down to a "Redownload software" button. @Susurrus Indeed, too many times it happened that I was quickly going out, unplugging my switch and shoving it in a hardcase. Only to find a very hot console after half an hour, because it turned on without me noticing. Did they fix the problem with the network adapter keeping the machine from truly sleeping while docked? @Realness the start menu uses so little memory, I don't think it could display themes without negatively effecting performance. Shoot me a message when they add a messenger. All these major number changes yet nothing really overly that great. Nothing like folders, custom themes, colours, background etc. What would be nice is if registering a game gave you profile icons from that game/series. I could have Neptunia ones once Nep rpg comes out. @Cosats How easy is it to set this up? Does the Pro Controller get recognised by your computer and Steam itself or are drivers and other button configuration files required? Thanks. 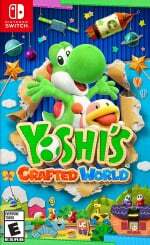 @Heavyarms55 Could just be an age rating thing meanwhile Pokemon becomes problematic for the same reason there wasn't stuff like Pokemon amiibo costumes in Yoshi's Woolly World. Metroid and Zelda don't fit the theory (those are Teen rated franchises yet still have icons) but those were present at launch. All those are E and E10+ games except BotW. And I'd like those features now, not in the Switch's last year. @MrBlacky So many people are buying into this Switch "Pro" crap it's unbelievable. They think it's for when that comes out you can easily transfer your data, therefore it's on its way. No folders, no themes, no Netflix, no browser. Those are what I want. I won't have to bring my laptop on vacations anymore to watch stuff on a decent sized screen. Switch could be that all-in-one but we're going down the "purely a gaming platform blabla" route again to cover the fact that it's just lazy disinterest. Just give us options and we'll decide if we use it solely as a gaming platform or not! "General system stability improvements to enhance the user's experience." For a minute I thought we wouldn't get the stability part. It really is odd how backwards the Switch is even compared to its Nintendo made predecessors. Still missing folders and themes... What are they waiting for??? Those are some welcome additions for sure! Where are the themes and folders? Why no icons from Fire Emblem etc? Why can't basic features be implemented after two years? 1. Themes slow down the system. 2. Folders adds clutter to the screen. 3. Fire Emblem isn't out yet. The Switch is really fast compared to the Wii, Wii U and 3DS as well. I really like that. And I REALLY like that Nintendo keeps it like that. And not add features that add nothing but strain on the system. I really have no interest in folders/themes or anything like that. It just slows the system down. Glad to see that finally I can sort my games now (but not completely free as a bird). A step in the right direction. Now give us some folders in case we want to put all Hamster games in one folder, for instance. Here we go again with people moaning about an update, and one that doesn't just include stability. I'll say it again 'you knew what you were getting when you paid your money', expecting anything more is just silly. Still no themes or folders I see. 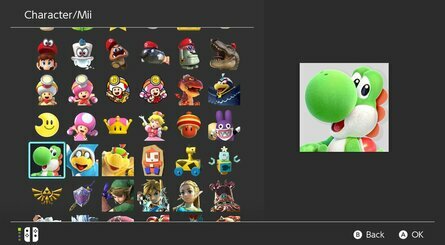 As someone with 200-300 game icons on my Switch, those sorting options are like water in a desert. Folders would be nice, but the only QoL feature that I see as missing is an All Software button right on the homepage rather than way on the right. @Grumblevolcano That is still so lame. Pokemon and Nintendo have been partners for literally decades, there is just no reason to no cooperate fully. Same with Intelligence Systems' Fire Emblem and Monolith's Xenoblade. I was informed by a Nintendo employee no GUI changes are planned or in the works. Which I think is is mistake because part of the attraction of the Wii system was the interface. It was simple but elegant. The Switch looks like something that was set up for a demo then they forgot to develop it fully. @Zidentia Unless you were informed by someone actually at their headquarters and pretty high up the food chain, I would take that with a grain of salt. Lower and midlevel employees are almost certainly instructed to deny anything is or isn't in development until it is officially announced. Nintendo updates are the only updates that make me feel worse after they’re released 😖 EVERY SINGLE TIME. That would be great for games like Wasteland 2, I’ve heard it’s difficult to read the text in handheld mode. I haven’t been able to try the game yet. As for folders (or lack of), unless we would be able to add a graphic or picture to the folder icon, I don’t think I want them. I think the save data transfer is in prep for Pokémon, as Data cloud doesn’t work for it. And something needed to happen before that game came out because you need multiple systems for that. So we asked for updates to organize are games so we could do things like put all the dozen FF games in one drawer.....and instead they give us alphabetization which doesn't really do that in a lot of cases. Fan-fudging-tastic! It's ok, Nintendo. Microsoft took 5 years to do it, and then broke their external HDD power states after. You're still ahead by a hair. Zoom sounds cool....but I wonder how it really works, practically? @Gerald PS4 takes the Android/Spotify approach of just creating a composite tile of the first 3 covers inside a folder. 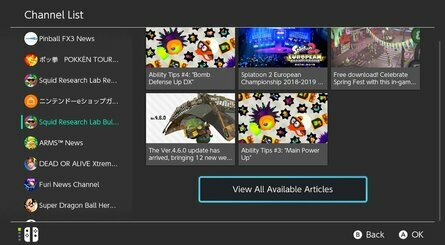 XBox just has a text list of folders like tabs, in addition to the "view all" that's alphabetically, or by last update date, or a variety of other filters, or you can scroll down one page with "dividers" between each "folder"
I used to be a big user of folders on both WiiU and 3ds but coming back to both for the first time since the Switch was out, I feel myself increasingly like folders are just in my way of accessing stuff to the point I just removed the games I DID want to play from their folders and just deleted the ones I knew I wouldn't play anytime soon. And that's the thing I realized with the Switch is that even as I reach ownership of enough games to finally have more than the default home screen can holds without using the "display all games" button... I don't even find myself wishing for folders and instead asks myself which games I even want to keep there and delete the ones I decide I won't be coming back to in the immediate future. Like, in comparison I felt folders only encouraged me to metaphorically "hoard" games in ended not playing thanks to the illusion of keeping things in "order" while the streamlined UI of the Switch has me simply frequently asking myself stuff like "do I even want to keep installed that game I only played 30min of last month and didn't touch since then?" or "do I think i'm actually safe to consider stowing away that game I've already beaten twice now or do I feel like immediately attempting a third playthrough?". Like it's weird to say because I feel like I've started to enjoy this process of not just curating the games I purchase in the first place but curating the ones I actually feel like I can legitimately play now and accept it's okay to put back a game I've beaten thrice in my shelf for a bit to better focus my "digital shelf" around what I actually feel like playing at the time knowing that when I do feel ready to tackle breath of the wild again the game will still be easily within reach. And that's the thing. Before I felt folders only gave me the illusion of order and that I was only hoarding games for hoarding' sake but now I feel like i'm actually truly curating what matters to me instead of just chucking it in a differently identified digital drawer. I'd daresay it even encouraged me to get stuff in physical copies for that very reason because then when I do feel like I don't know what to play I can browse through my physical games to see what spark something in me. Lately it was Zelda that I beat three times between mid 2017 and early 2018, which I'd left untouched since then, that i'm actually feeling up to booting up again after the break away from it. Same with Octopath Traveler beaten in summer 2018 and which i'm feeling up to giving another go. It's kind of interesting that the Switch developed such a variety of solid releases to collect because now I don't even feel bothered as much with the lull between major releases as it now become just an occasion to revisit the games I'd enjoyed in the previous years after long enough of a rest to actually refresh my enjoyment of playing them again. This is a pretty hefty update feature-wise. Its not folders, but this should help much more with organization! And I wouldn't call Zelda a T rated franchise, only Twilight Princess and its HD remake are rated T in the entire franchise. People keep saying the eShop needs an update, but it has a wishlist, which is more than the Epic store does! @Galarian_Lassie Oops, relied on the 12+ rating and thought they were T rated games in the US. I also saw that Metroid Samus Returns is E10+ (2D Metroid in general is lower than T) which explains the Metroid presence for the base icons. So apart from the Twilight Princess icons (Link, Zelda, Ganondorf) everything else is featured in a E or E10+ game. @AlohaPizzaJack I get what you’re saying, but I know one of Nintendo’s goals with the Switch is to get people in and out of those games fast. My 3DS CHURNED with all of those added themes, music, and folders when trying to turn on or suspend. Very happy with the minimalism of the Switch. One step closer to folders. I wish we could delete user icons so I don't have to look at the ARMS ones again. Let's just forgot that game happened please. I'm going to remain patient until they finally release a folder creation option for the Home menu. The sorting is nice and all, but maybe that could be applied to folders as well. Also, I just tested out the video capture for the zoom feature in a game, and it unfortunately doesn't show the zoomed in game-play. Maybe they'll add a function for it in a future update. I've pretty much decided to be satisfied with the addition of the YouTube app. Waiting/hoping for Nintendo to add any more utility to the Switch is not something I'm interested in any longer. I just accept it as it is, if we get more, then that's great. Didn't want to sort through 130 comments, someone else might have said this already, but you can now jump from one end of the home screen software list to the other! @Ttimer5 on the home screen, go to the very left of the software list and press left. It takes you to the other end. Works vice-versa. Altho the rest of it. Couldn't care less. And so far the 4 top most things I've been waiting for since the beginning still ain't here. 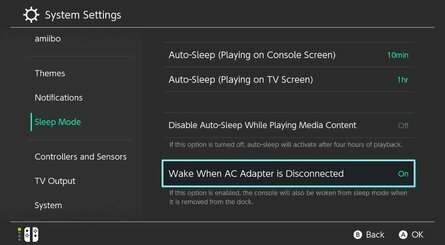 1. when you turn the Switch off (not sleep mode) , stays off when docking and/or plugging it in directly to a power source. And to make it so I don't sound ungrateful for what is there. -the awesome fact that it's a handheld as well as a full blown console. Never had a 3DS, so I was really looking forward to themes. Hope they add 'em. 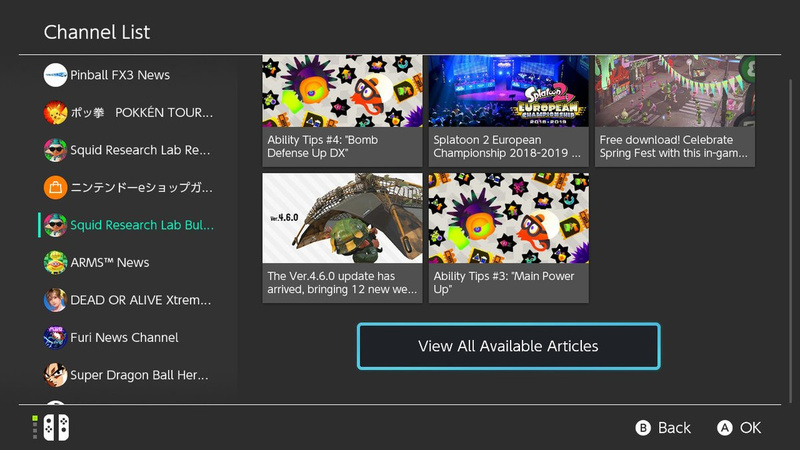 I really wish they somehow separated Nintendo News Channels for different languages. Having accounts from different countries is great, but my feed is so freaking cluttered now. I love exclusive news content Japan gets, but other news are just needless duplicates. 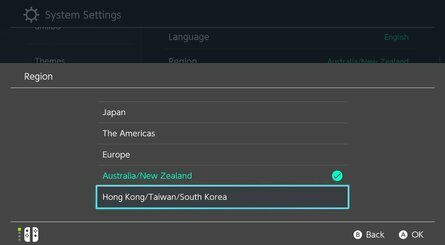 An option to exclude the Japanese channel, but still have access to it when needed would be a godsend. Little hope for it though, a really edge case. A more precise activity log would be cool, but frankly I'm ok with the one we have. P.S. I really miss the MiiMaker channel. And oh, having no achievements is so relieving I wish they don't add them in the future. I got to a point on Steam where I would choose games from my backlog based on how good their achievement system was, and frankly that was not healthy. 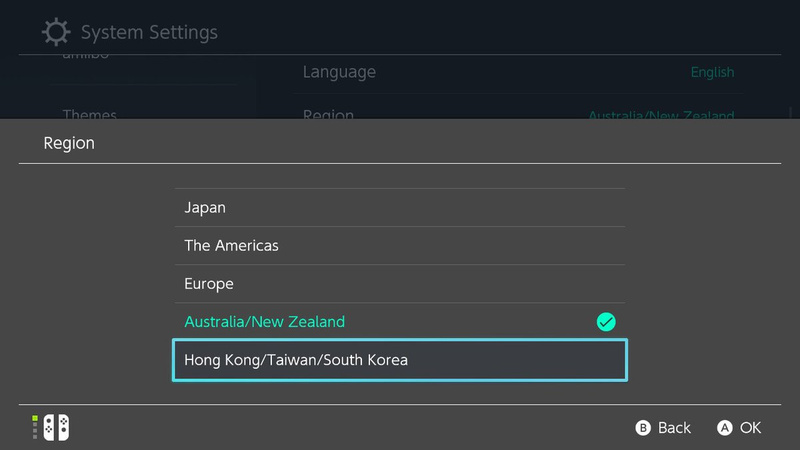 i wonder why Nintendo still not adding theme? Remodel that mess of an eShop and throw some nice music on there(why did the ol' Wii U have a better eShop? sigh). 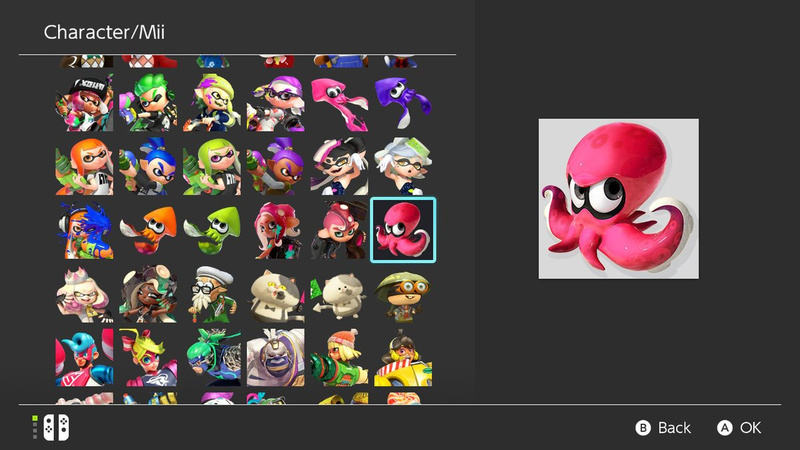 Give us folders(Wii U also has these). Oh, and of course themes. The Switch's interface is so bland it's just pathetic. Why has none of this happened after over 2 years of being on the market? Just BS at this point. A small team could crank out all this relatively quickly. Here we go again,Nintendo update their interface and the internet posting minorities are upset because they get no themes,folders,music on the e-Shop,a complete e-Shop redesign,Netflix,internet browser and a proper Virtual console service,what they tend to suggest is this is what everybody wants rather than it just being these minorities,they also forget the Wii U which had some of these features also got complained about for it's clunky overly slow interface,as switching between it's applications and games took ages,and this was even after revisions which made it faster than it was at launch. For once let's give the Switch some credit for it's simple and fast operating system,and for the fact they have taken the lack of success of the Wii U,which had the features everybody wanted but still sold very low numbers,and transformed their fortunes with the Switch to give them great sales despite not having the features everybody wants. As I have said before we have to realize not everybody is a core video game player that spends lots of time in front of their console,the masses will see the Switch as a very accessible system with great features and a quick user friendly interface,they will also see good features added with the Nintendo system updates,the system transfer and save data transfer are good additions in my book,and anything Nintendo is adding is not coming at the expense of the user interfaces speed and ease of use. As for adding Netflix I am pretty sure most will have access to the service via a smart TV,firestick or tablet device etc,so it's addition will hardly make or break the system,it's pretty much like the situation between the Ps4 and Xbox One where the latter has UHD Blu-ray support,it has not hurt Sony's sales on bit because of the lack of a UHD Blu-ray playback,and one doubts Microsoft have sold a lot more consoles of the back of having the feature. As for a Virtual console service I am pretty sure if there was a massive market for it Nintendo would include it on the Switch,but after it's release on the Wii and Wii U Nintendo would have seen a decline in it's sales and have decided to go down the route of single emulation devices like the NES and SNES mini devices which offer much better value imo,and a paid online subscription service which is also much better value than paying individually for older titles,of course the latter does need to expand to cover more systems which i am sure it will in time,but as with everything we just need to have a little patience.